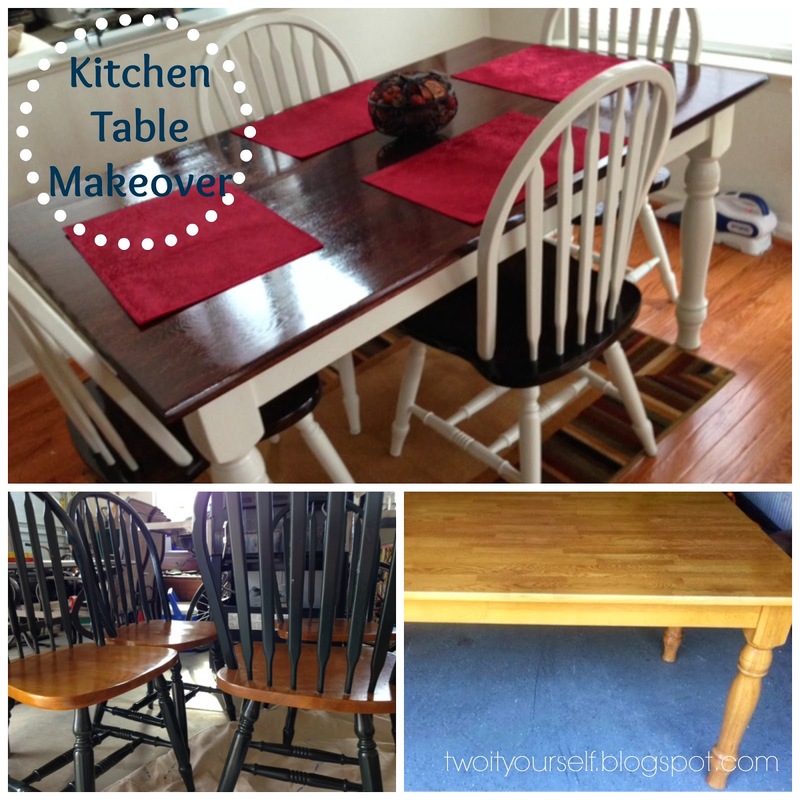 A few weeks ago we shared with you all the details on Stephanie's $35 kitchen table makeover. It went from drab to fab with the help of a stained top and a white painted legs. 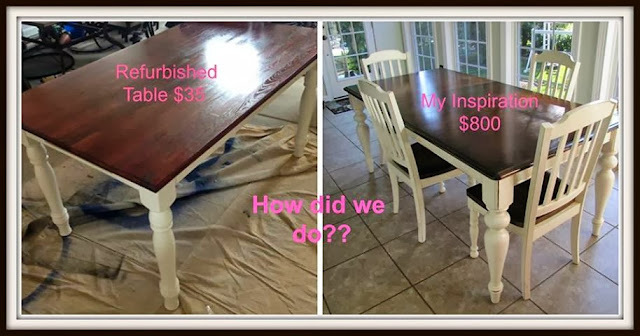 Inspired by this $800 version, Steph's $35 table really was fabulous - if only you could sit at it. 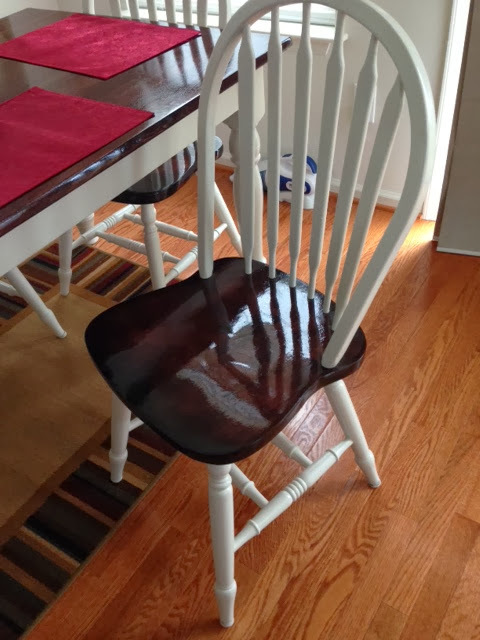 Thankfully, she found a set of four matching chairs on the cheap at an area thrift store. The chairs needed a little TLC to look as great as the table did so they, too, met the sander. 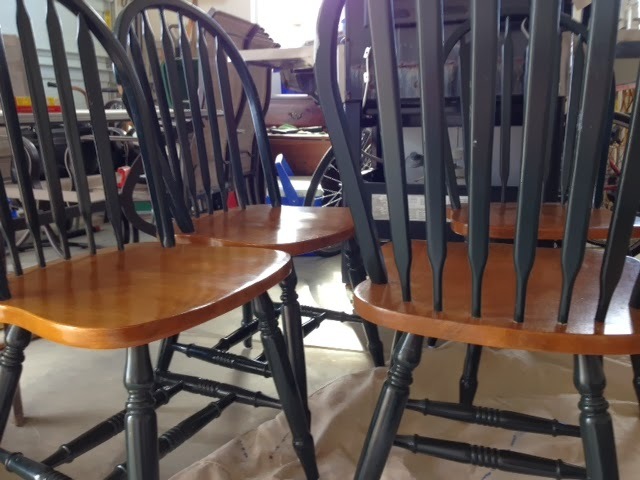 The backs were taken off and the seats were sanded down. The seats were then stained with the same stain that was used on the table top. 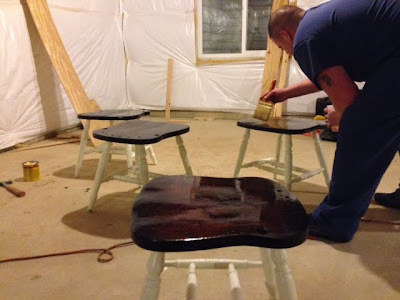 The backs and legs were painted with matching white paint. The set of chairs was finished off with a protective coat of polyurethane. 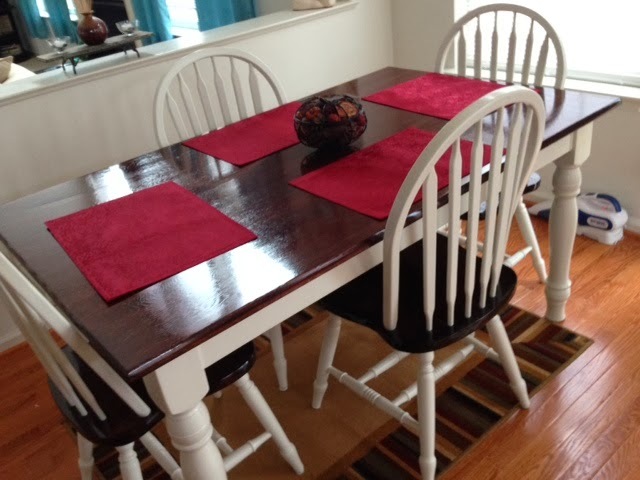 And finally...the new old kitchen table set is complete.